But I didn't get that, instead I got a slower VTR. Ew. Bet it gets good mileage. That's in very good condition. 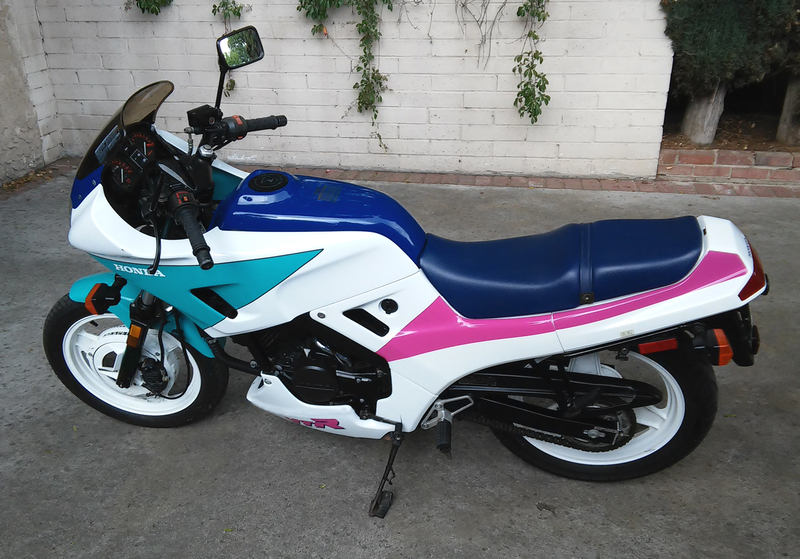 Awesome Miami Vice colors. Yeah it probably will get decent mileage, but you also have to rev it a lot to go fast, so that won't help. I'll try to figure out the mileage after my first fill up. Yes & Yes. These are pretty rare, and if you find one for sale it's usually beat hard. This year was my favorite graphics, previous year was ok, but year after I didn't want they got rid of the inboard disc, and the graphics were too mellow. Every time I got on it I thought I should go to a Disco! My eyes, they burn. Go paint it. 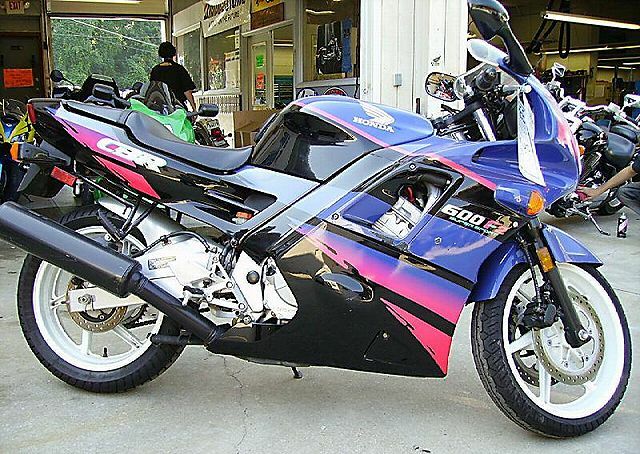 Never had one of these because I bought the ZX-6 during that generation. Always regretted it and wished I'd have got the cbr. I still like it, nostalgia maybe? Awesome CBR.... I think I still like that body style compared to the new ones.... They were sleek and I have the hardest time finding the pointy, large gap rear tails on the new bikes appealing. I had a 1991 model in red and white. I have many fond memories of that bike. Hated cleaning the 6 spoke white wheels, though. That little VTR looks super clean. The trick with white wheels is wd-40. 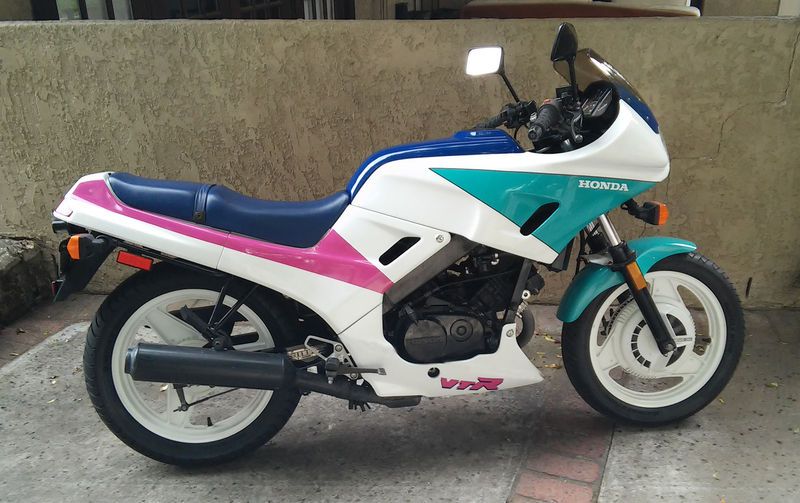 I had a 1991 Suzuki Bandit 400, red with white wheels, and I used to rub wd-40 all over them. Helped the dirt come off easy the next time. Organic brake pads can also be used (usually just on the back because they don't bite very well) for less brake dust. Red IS the faster color!